Investors can use self-directed IRAs to buy and sell mortgage notes. 3. When Is a Broker Mortgage Loan Origination Agreement Required? Investors who want to put more money into real estate without buying properties can add mortgage notes to their portfolio. Mortgage notes are similar to mortgage loans, except that they are usually privately financed and can be traded on secondary markets. Individual investors usually buy and sell mortgage notes for their Individual Retirement Accounts. A mortgage note is a type of home-ownership loan that is similar to a mortgage, with the borrower agreeing to repay the principal at a certain interest rate and over a certain time period. The owner of the note takes responsibility for collecting the periodic payments, including the interest owed. Some mortgage notes are privately negotiated home-ownership loans, according to the Washington Post. These private mortgages often have higher interest rates. There is an active secondary market for mortgage notes and most traders are larger banks or real-estate investors, according to the Washington Post. In the primary, or "retail," mortgage market, lending institutions provide mortgages to the public. Later, the loan issuer may sell mortgage notes, sometimes at discounted prices, to raise capital on the secondary market, where investors trade in previously issued mortgages. Some real estate investment services or investment brokerages help investors find mortgage-note buyers and sellers on the secondary market. Also, several websites offer services that let buyers and sellers trade mortgage notes. Investors can't hold real estate in a basic IRA. Only to a self-directed IRA can an investor add real estate investments, including mortgage notes. While some insurance and financial-services companies offer self-directed IRAs, investors can only add to their IRA portfolios the assets that these companies sell, which rarely include real estate investments of any kind. In order to add mortgage notes to a self-directed IRA, an investor must find an independent administrator to serve as the custodian or trustee. Investing in a mortgage note can require some research and hands-on management on the owner’s part. 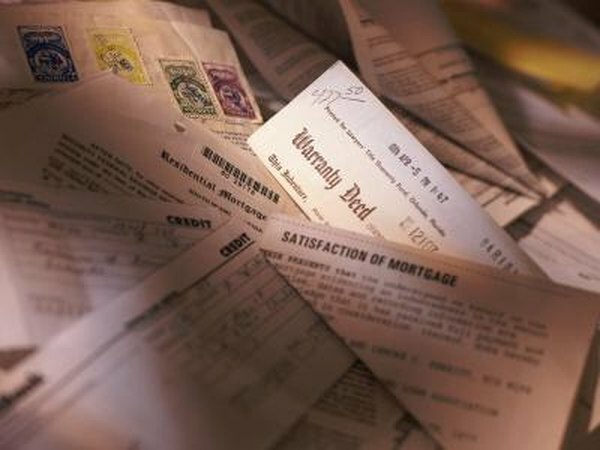 That it is the mortgage-note holder’s responsibility to collect any delinquent payments indicates the importance of researching the borrower’s creditworthiness before adding a mortgage note to an IRA or investment portfolio. Mortgage notes don’t offer investors the advantage of liquidity, as they can be hard to sell and converting them to cash can be time consuming. However, one similar investment is the mortgage-backed security, which comes from a fund that holds a number of mortgages. Similar to bonds, these securities can be traded in shares, which allows the investor to easily sell the investment in the mortgage without having to take on any of the mortgage-note responsibilities.